Caption: "Older Boys at University Camp". 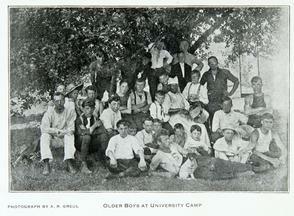 Large group of boys and young men sitting under tree. African American cook in center. Man in front holding dog.